Low Vibration Risk Equipment - The green range has been set at 0 to 5m/s2 - allowing equipment to be used regularly throughout an 8 hour day with low risk of vibration injury. 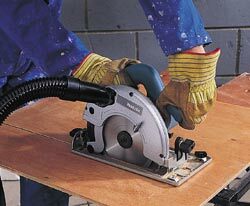 For fast, accurate straight-line cuts in timber, plywood, blockboard and MDF. SAME DAY SAVER: Pick up and return this Circular Saw on the same day – and claim a 20% saving on our 1st Day rate. This excludes “delivered” items. Ensure you check branch opening times! Can't be used in conjunction with any other discount.